The Trump administration has launched a public awareness campaign for the U.S. private sector, urging businesses to better defend themselves against online attackers who may be trying to steal their sensitive data or wage supply chain attacks. The effort, being run by the National Counterintelligence and Security Center, aims to improve the minimum level of information security practices in place at businesses. At a minimum, NCSC is urging all organizations to review supply chain security, safeguard against spear-phishing emails, beware of social media deception and expect that, when traveling abroad, their equipment will be subject to surveillance or interference. The NCSC has branded the effort as "Know the Risk, Raise Your Shield," and released a range of videos, posters, brochures and flyers via its website that promulgates strategies to help protect data, assets, technology and networks. The materials were previously distributed to the federal workforce. "To enhance private sector awareness, we're arming U.S. companies with the information they need to better understand and defend against these threats," says NCSC Director William Evanina. The U.S. NCSC is a center within the Office of the Director of National Intelligence, not to be confused with the U.K.'s National Cyber Security Centre, which is the public-facing arm of British intelligence agency GCHQ. The U.S. NCSC's 2018 Foreign Economic Espionage in Cyberspace report, released last July, singles out China, Russia and Iran as posing the biggest nation-state hacking risk to the U.S. private sector. Laws in China and Russia, in particular, allow government agencies to compel firms to assist in their efforts. But officials warn that the threat is much broader. "Make no mistake, American companies are squarely in the cross-hairs of well-financed nation-state actors, who are routinely breaching private sector networks, stealing proprietary data and compromising supply chains," Evanina says. "The attacks are persistent, aggressive, and cost our nation jobs, economic advantage, and hundreds of billions of dollars." Last year, Director of National Intelligence Dan Coats told Congress that in the online realm, Russia poses the top online attack threat to the United States, while China, North Korea, and Iran are also top threats, "although many countries and some non-state actors are exploring ways to use influence operations, both domestically and abroad." Indeed, the former head of the U.K.'s signals intelligence agency, GCHQ, last year warned that it was becoming increasingly difficult to tell cybercriminals and nation-state actors apart (see: Cybercrime Groups and Nation-State Attackers Blur Together). 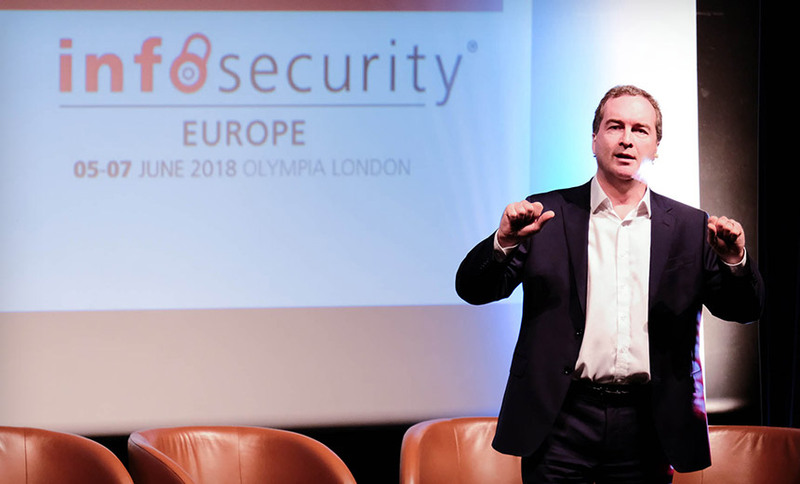 "In some cases, you can see these groups sitting in the same room, and in some cases, you can see where people have been conducting state activity during the day, and then doing crime activity at night," said Robert Hannigan, who headed GCHQ until 2017, speaking at last year's Infosecurity Europe conference in London. "It's an interesting mixture of profit and political intent." Elysian is a team of Ecommerce and cryptocurrency experts with a plan to connect the multi-trillion dollar E-commerce industry with the multi-billion dollar global cryptocurrency market by creating a revolutionary, new eCommerce platform. We envision a future where Elysian is the epicenter of a new model for Ecommerce, powered by the blockchain. The Elysian ecosystem presents a model for sustainability and healthy growth, along with community integration to connect Elysian supporters directly with the team. Join the largest collaborative anti-fraud efforts developed by, and for, online merchants. Report your fraudulent transactions and make sure that the fraudsters cannot repeat their schemes unnoticed. With thousands of businesses on the lookout, Fraud.net helps catch fraud before it gets to you. Online fraud is growing faster than online commerce. Help reverse that trend through your participation and help e-commerce thrive. By joining the network you gain immediate access. Compare suspicious orders against hundreds of thousands of active fraudsters currently being tracked. Fraud often takes the form of unlawful chargebacks and repetitive abuses of your return, shipping and customer service policies. Wouldn't this be great to know before you ship. Reporting fraudsters, and detecting fraudsters that have been reported by other merchants, will save you time and money. Fraudsters usually keep transactions too small to attract attention from law enforcement. Aggregating the numbers may help reach prosecutable minimums. Making Every Website and Digital Business Safer.